For participants who are interested please registration online and send your complete aaplication to PT Bank Rakyat Indonesia (Persero) Tbk, at link below. 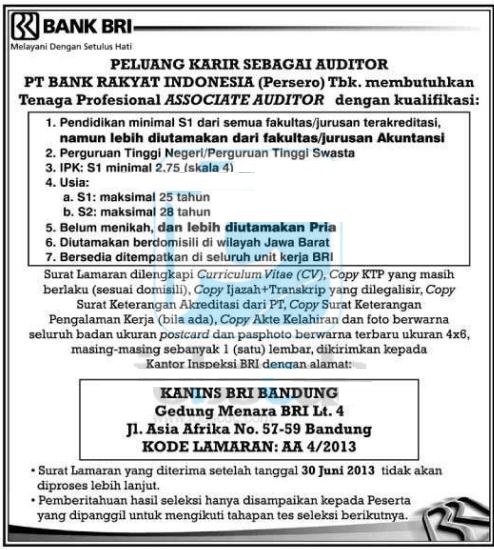 Please Write Position Code : AA 4/2013 at your application document. All decision to call the applicants and determination of selection result is Bank BRI authority and can not be contested. Entire selection process is free of charge. Only qualified applicants will be process. Closing Date : 30 June 2013.